At last our massive project coming to the finish line, and now we are on the stage focus testing. 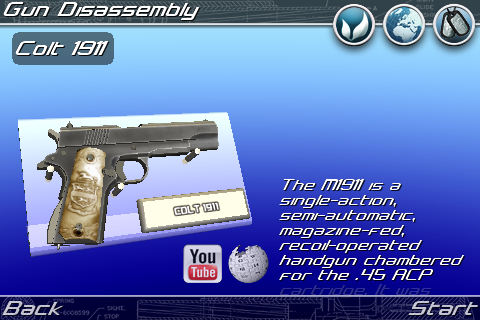 Gun Disassembly 3D – unique gun app where user can disassembly gun on a small parts like in real life. This is also a good competetive game – like a puzzle. 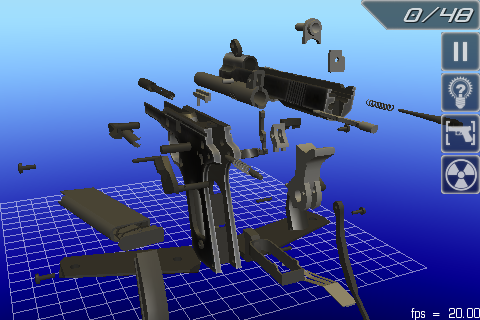 User have to disassembly the gun – the order of disassembling is like in real life and the scores are given for spent time. Less time – more points. Local and World Highscore also available. The game has OpenFeint with acheivements and leaderboards. And a lot of other cool featurs.